The federal government contracting system is a process composed of three phases. The phases are Pre-Award, Award and Post-Award. Each phase of the process requires the business to complete specific steps for a selected service, supply, construction, architect and engineering or research and development requirement being offered to the government. The government acquires supplies and services at the micro purchase level using IMPACT credit cards, one source, large or small vendor, no competition required. The government acquires supplies and services between $3,000 and $25,000 using simplified acquisition procedures, competitive, 3 vendors solicited by phone, mail, fax or email. 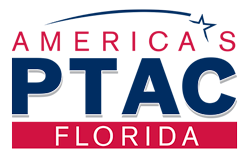 Contact your Procurement Specialist at www.fptac.org for assistance on contracting with Federal, State, and Local governments.